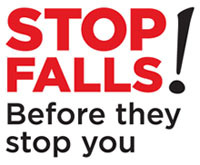 The Ministry of Labour is targeting hazards involving falls at construction sites in July and August 2014. During the blitz, inspectors are focusing on ensuring that constructors, employers, supervisors and workers are complying with requirements under the Occupational Health and Safety Act (OHSA) and its regulations. Over the past decade, incidents involving falls have resulted in serious injuries and deaths at construction sites in Ontario. Special attention will be given to projects with exterior finishing activities, including stucco, drywall and sheet metal. For more information on construction safety, visit Ontario.ca/constructionsafety. Who’s responsible when a flood occurs on the job? "I could have saved a life that day, but I chose to look the other way"
Next post Has British Columbia (WorksafeBC) got the edge?